It’s just an ordinary field. Iron gate, hedges, nettles, knee high grass, a quiet country road running past it. On a Thursday afternoon, you can hear sheep, skylarks, a bee buzzing round the bramble flowers. There’s absolutely nothing remarkable about it at all. But this is where my Uncle Mike, aged 21, two other Kiwi boys and three English lads, all of them between 19 and 23 years old, died, 70 years ago. It was an icy January night in 1945, they were on a training flight in a Wellington bomber, Mike was at the controls, and something went wrong. 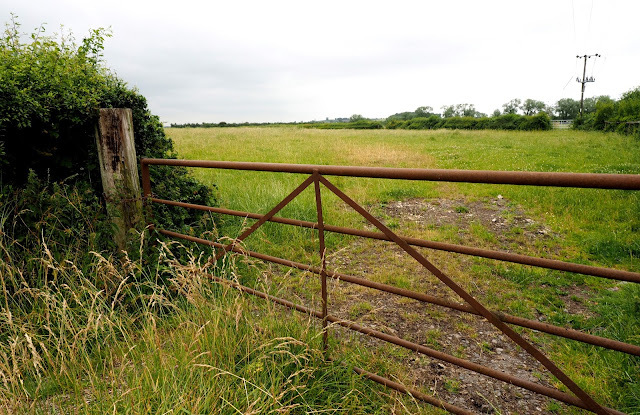 No-one knows, or will ever know, what that was, but the result was that the plane banked, lost height, and crashed into this field, bursting into flame and killing all on board instantly – or so we all hope. The plane is still there, under the soil, and when the lush summer grass is gone, the indentation can still be seen; but the boys are buried at Botley, side by side. In North Marston, though, people still remembered the boys who died in the flames that lit up that dark night; and this year they did a wonderful thing. 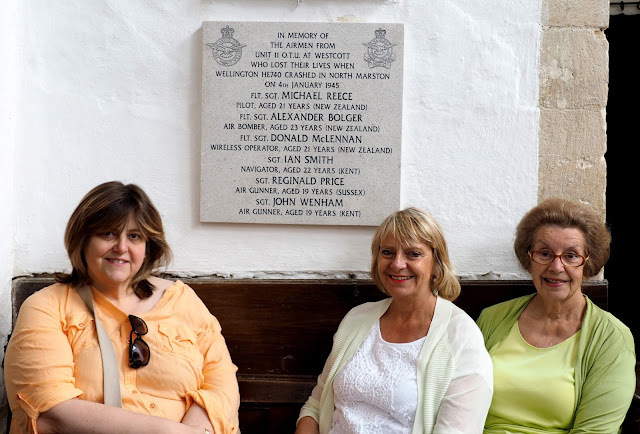 It’s touching to know that the memory of Mike and his fellow Kiwis, and the English lads, is being kept alive; and it was heartening to meet these good people today, for whom this was so much more than just a History Club project. Well done, them.